DENVER POST – So, in a year when you can order any product or brand you want from your smart phone, why is it so tough to get the specific options you want in a new home? – say, a luxury appliance or a counter surface that’s not shown in the design center? Housing exec Christina Presley wrestled with that question for years while working for large builders. 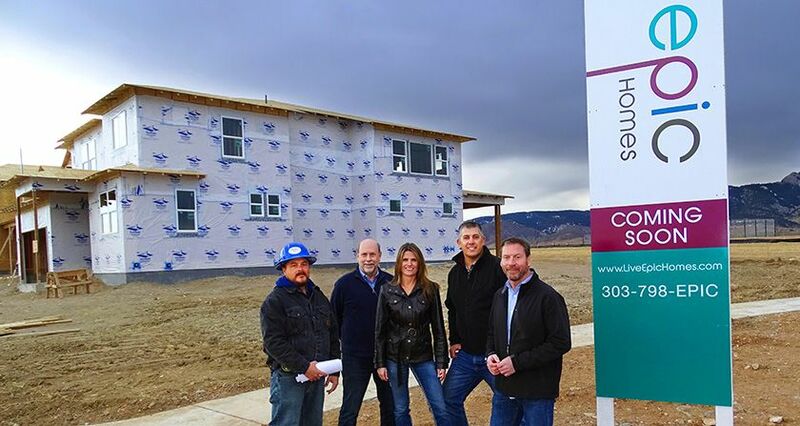 Now she’s launched her own building venture in west Arvada’s hot Leyden Rock community, and can already point to how different that experience will be for customers. “We’re going to be able to do some cool things that other builders aren’t able to do,” said Presley, president/co-owner of Epic Homes, as we walked two family-sized model homes taking shape for an opening this coming March. That will start with allowing you to order a Wolf range or a Sub-Zero fridge, if you want – options only offered by custom builders who work in the million-dollar-and-up range. With prices anticipated from the upper $400s, Presley and her Epic Homes team are starting with a different paradigm that she says will improve a homebuyer’s options in choosing how a home will “live.” The two family sized models (in addition to a ranch) are each sized at around 3,400 square feet – each designed by top-ranked architect Jerry Gloss of KGA Studio Architects to offer distinctly different experiences. “You’re not going to have to jump up another 500 square feet in size to get the right layout,” Presley added. “You’re going to get the layout you want from the beginning.” All will also offer exceptional flex space options – opportunities to order a different bedroom count, using spaces to work for specific tastes and needs. If you’ve been shopping Leyden Rock (it’s the second fastest selling master-planned community in the entire Denver-Boulder area now), Epic Homes’ arrival will offer a fresh look in an area where many model designs were created three years back, Gloss notes. You’ll also get some uncommon views, says Craig Dunkelberger, sales director at Epic. Their models and first 52 lots are at the highest point of the community, with a dramatic backdrop of the Ralston Buttes and views that span from the Table Mountains north to the Flatirons – close to the parks, a clubhouse, 17 miles of planned trails and 400 acres of open space. They’ll be served by three high-scoring schools, including Ralston Valley High, 10-for-10 stars at GreatSchools.org, rated as one of the best in Colorado.